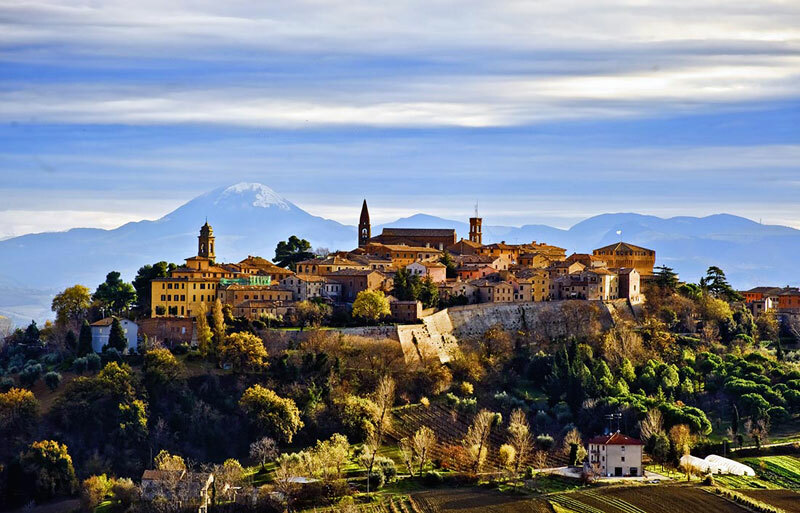 Mondavio, in the province of Pesaro Urbino, one of the most beautiful villages in Italy. 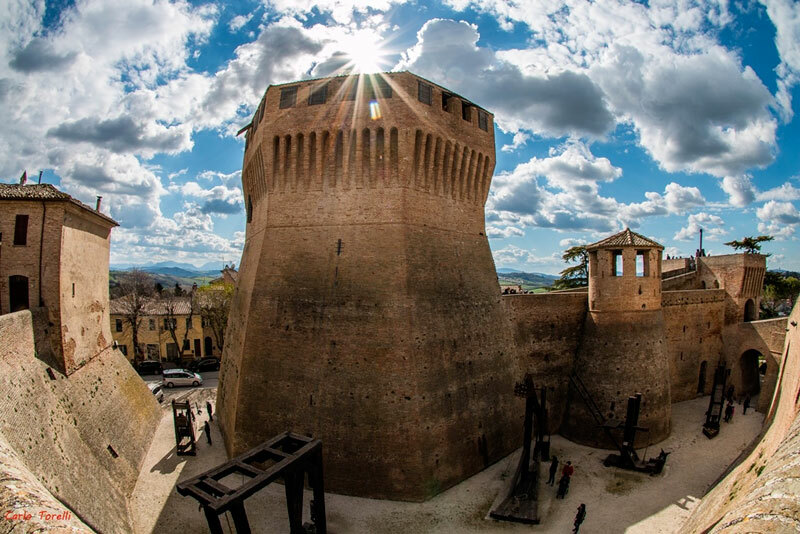 The ROCCA ROVERESCA, which rises majesty in front of our hotel, you can visit the wax museum, the armory, the art gallery and the APOLLO THEATER, which boasts the exclusive of being one of the smallest in Italy. It is easy and fun to get lost while walking through the small streets of the village that offer picturesque views. 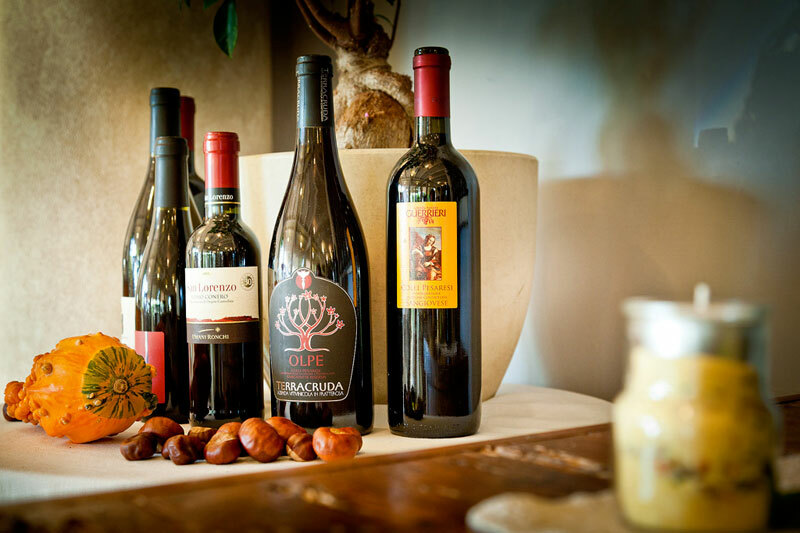 With pleasure we will guide you to discover the best wineries in our area. Among the sweet and harmonious hills of the Marche region, there are numerous and characteristic CITIES OF ART and ANCIENT VILLAGES. In a few kilometers from our hotel you can reach typical realities such as: CORINALDO, SENIGALLIA, GRADARA, SAN LEO, FANO, ACQUALAGNA, PERGOLA, FOSSOMBRONE. 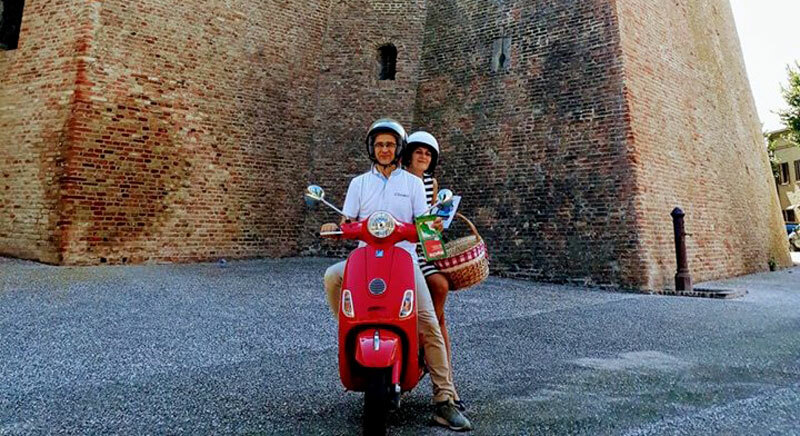 Let yourself be led to the discovery of exciting landscapes riding a legendary Vespa as in the 50s! You can take advantage of our promotional packages or RENT a VESPA directly at the hotel. 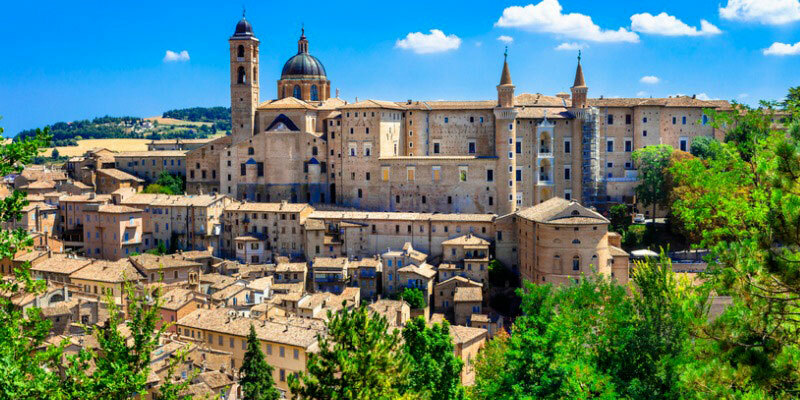 URBINO is one of the greatest examples of Italian Renaissance architecture. The city is a concentration of extraordinary monuments, alleys, landscapes and magical atmospheres. We suggest you visit the DUCAL PALACE and take a relaxing walk in the historic center, where there are also the MARCHE NATIONAL GALLERY and RAFFAELLO'S CHRISTMAS HOUSE. 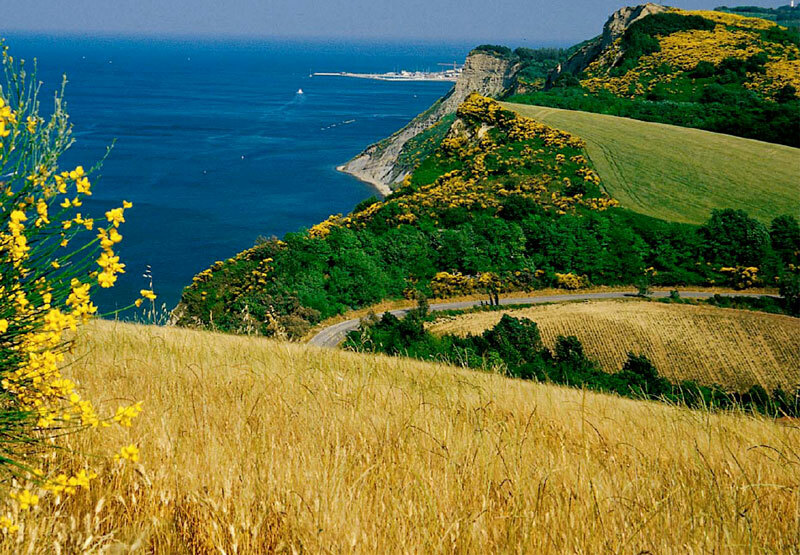 From the South to the North the entire region is a succession of enchanting scenery: from the PROMONTORIO DEL CONERO, with its pristine beaches, to the NATURE RESERVE OF SAN BAROLO, with a cliff overlooking the sea. Entering just a little 'inside the region you will discover the GOLA DEL FURLO, the MONTE CATRIA and you can experience the charm of the FRASASSI CAVES, an underground path unique in the world. We have agreements with the bathing establishment Bagni Torrette, in Torrette di Fano, located in a great location, with ice-cream parlors and restaurants within walking distance, and equipped with games for children. 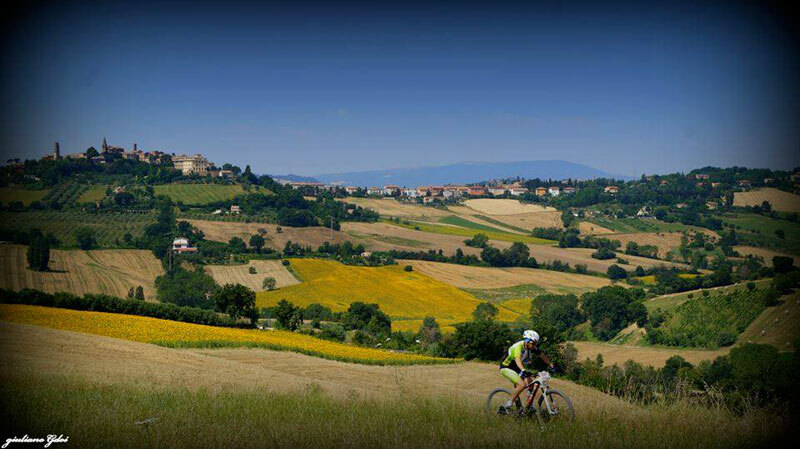 For those who love the adventure on two wheels, the Marche region offers numerous possibilities for CYCLING ITINERARIES. You can take advantage of our promotional packages or RENT YOUR BIKE RACING or MTB directly at the hotel. Cooking and respect for tradition are one of our strengths. The art of pasta and homemade pasta are a heritage to be spread through OUR COOKING CLASSES that we offer for small and medium-sized groups visiting Mondavio.